Pitcher plant with David Yurman black-Tahitian-pearl-and-diamond earrings, $5,400 at davidyurman.com. I'm lovin' New York Magazine's new The Cut, and here's another example of why. 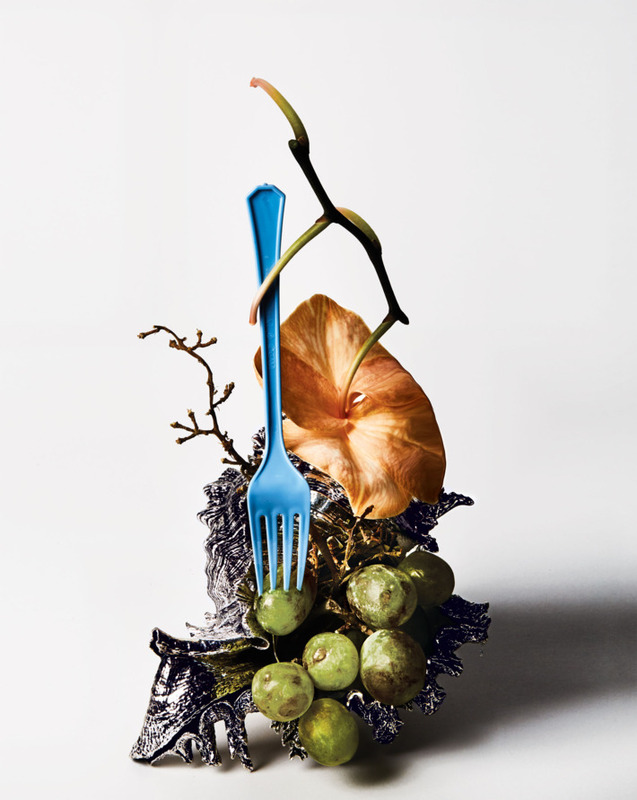 Recently, The Cut introduced us to Freakebana: The New, Ugly-Cool Style of Arranging Flowers. "True," says Bugbee. "But there’s also something else happening that has less to do with nature and more to do with attitude." Freakebana (pronounced free-ke-ba-na) is what I am calling it. 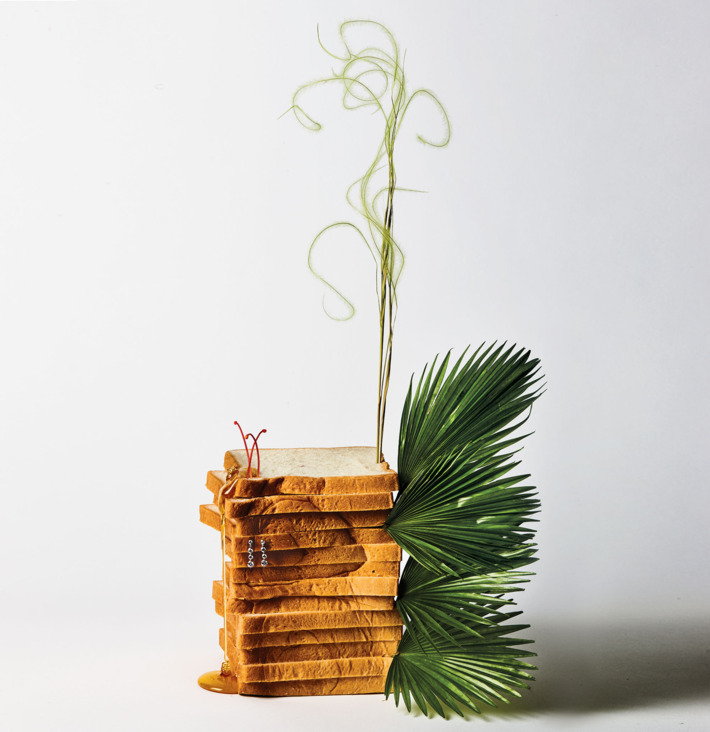 The turnt cousin of Ikebana, Freakebana is the art of arranging whatever-the-hell, in a way that nods at the traditional Japanese art form, but subs out years of study for a naive, new-wave naturalism. In Freakebana, the components are more likely foraged from the corner deli, as opposed to a Shinto garden. Good Freakebana mixes sparse, eccentric elements for maximum surprise. Say: pink carnations, cubes of jello, an air plant, and Maldon salt crystals. Enough romantic, farm-to-vase florists like Floret and Saipua. Yes, the allure of peonies and roses is intoxicating, but how about this more hallucinogenic trend? In this followup visual extravagance for The Cut, Stella Bugbee unleashes floral designer Brittany Asch with styling by Diana Tsui and photography by Bobby Doherty in a freakin' uptown freakebana tour de force. 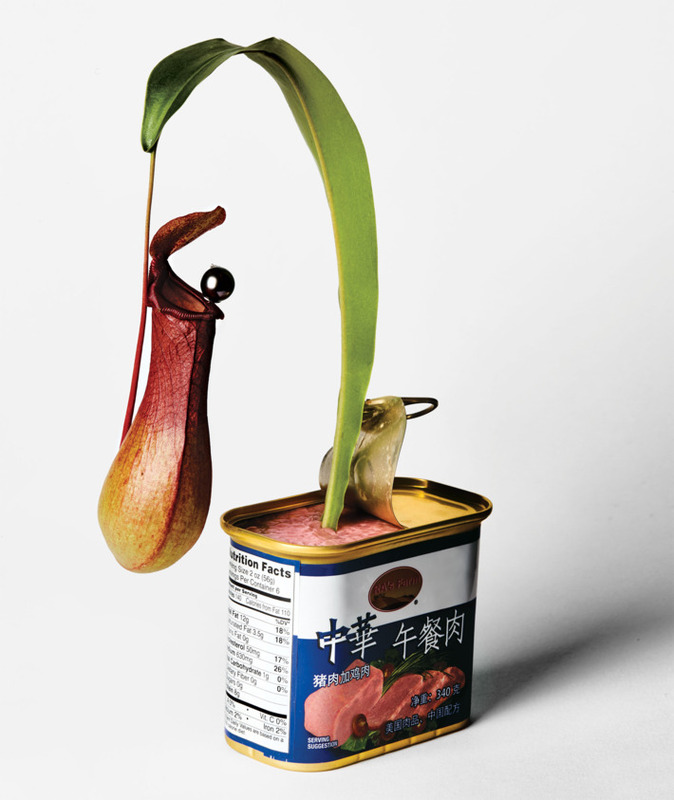 Anthurium, durian, with a Tiffany & Co. sterling-silver coffee can, $1,500 at tiffany.com. Phalaenopsis orchid with Buccellati silver-coated seashell, $670 at buccellati.com. Protea, feather grass, and a miniature palm with De Beers diamond earrings, $8,500 at debeers.com. Sarracenia, amaranthus, with a Chanel No. 5 parfum bottle, $130 at chanel.com. Cymbidium orchid with Hemmerle sapphire earrings, price upon request at hemmerle.com. Orchid leaf, orchid roots, and rose thorns with a Georg Jensen stainless-steel candleholder, $85 at georgjensen.com. Coconut frond, anthurium, orchid, celosia, and bromeliad with a LBK Studio glass sculpture, $550 at abchome.com. Lady’s slipper orchid with a Pomellato 18-karat-rose-gold bracelet, $13,200 at pomellato.com.